As one of the most popular groups to emerge in the post-grunge alternative rock aftermath, Weezer received equal amounts of criticism and praise for their hook-heavy guitar pop. Drawing from the heavy power pop of arena rockers like Cheap Trick and the angular guitar leads of the Pixies, Weezer leavened their melodies with doses of '70s metal learned from bands like Kiss. But what set the band apart was their geekiness. None of the members of Weezer, especially leader Rivers Cuomo, were conventional rockers -- they were kids that holed up in their garage, playing along with their favorite records when they weren't studying or watching TV. As a result, their music was infused with a quirky sense of humor and an endearing awkwardness that made songs like "Undone (The Sweater Song)," "Buddy Holly," and "Say It Ain't So" into big modern rock hits during 1994 and 1995. All the singles were helped immeasurably by clever videos, which may have made the songs into hits, but they also made many critics believe that the band was a one-hit wonder. Perversely, Cuomo began to feel the same way, and decided that the band would not rely on any visual gimmicks for their second album, 1996's Pinkerton. Simultaneously, Cuomo took control of the band, making them into a vehicle for his songwriting. While the album didn't sell as well as their 1994 eponymous debut, it did earn stronger reviews than its predecessor. Cuomo's assumption of the leadership of Weezer wasn't entirely a surprise, since he had been the band's primary songwriter since their inception in 1993. Raised in Massachusetts, Cuomo moved out to Los Angeles to go to college in the late '80s. During high school, he had played with a number of metal bands, but once he arrived in college, he became interested in alternative and post-punk music. By 1993, he had formed Weezer with bassist Matt Sharp and drummer Patrick Wilson. Over the course of the next year, they played in the competitive Los Angeles club scene, eventually landing a deal with DGC during the post-Nirvana alternative signing boom. Three days before the band began recording their debut with producer Ric Ocasek, they added guitarist Brian Bell. Upon completing the record, Weezer went on hiatus temporarily -- Cuomo was studying at Harvard when their eponymous debut record came out. With the support of DGC and a striking, Spike Jonze-directed video, "Undone (The Sweater Song)" became a modern rock hit in the fall of 1994, but what made Weezer a crossover hit was "Buddy Holly." Jonze created an innovative video that spliced the group into old footage from the sitcom Happy Days and the single quickly became a hit, making the album a multi-platinum hit as well. By the time the album's final single, "Say It Ain't So," was released in the summer of 1995, the group had gone on hiatus, with Cuomo returning to Harvard. During the time off, Sharp and Wilson formed the new wave revival band the Rentals, who had a hit later that year with "Friends of P." During the hiatus, Cuomo became a recluse, disappearing at Harvard and suffering writer's block. When Weezer reconvened in the spring of 1996 to record their second album, he had written a loose concept album that featured far more introspective material than their debut. Ironically, the band sounded tighter on the resulting album, Pinkerton. Released in the fall to generally strong reviews, the album failed to become a hit, partially because Cuomo did not want the band to record another series of clever videos. Grudgingly, the remainder of the band contented themselves to be a supporting group for Cuomo, largely because each member had their own solo project scheduled for release within the next year. DGC, however, had the band make one last chance at a hit with "The Good Life," but by the time the single was released, MTV and modern rock radio had withdrawn their support not only to Weezer, but their style of guitar-driven punk-pop in general. 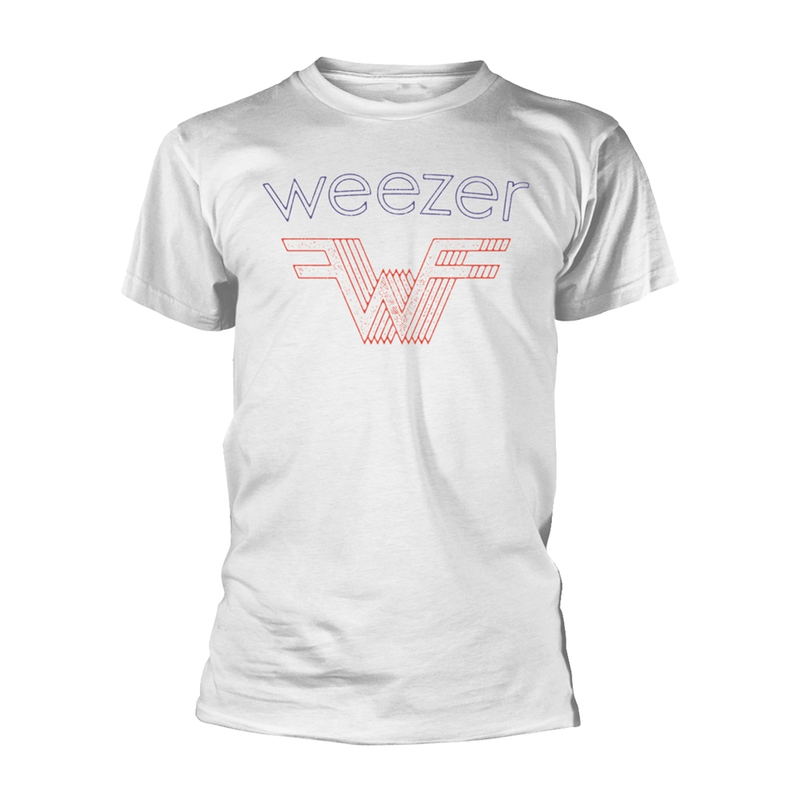 Shortly after the tour in support of Pinkerton was completed in 1997, it appeared as though Weezer had fallen off the face of the planet. Stung by the public's initial dismal reaction to their sophomore effort (ever-fickle Rolling Stone named Pinkerton the Worst Album of 1996), the band took time off to regroup and plan their next move. Unhappy with the sluggish rate of the reassessment period, Sharp left the group to concentrate more fully on the Rentals, fueling rumors that Weezer had broken up. But a funny thing happened during Weezer's self-imposed exile -- while their copycat offspring were falling by the wayside (Nerf Herder, Nada Surf), a whole new generation of emocore enthusiasts discovered Weezer's diamond-in-the-rough sophomore effort for the first time, and their audience grew despite not having a new album in the stores. Once Weezer's members wrapped up work on side projects (Bell: Space Twins, Wilson: the Special Goodness), the band recruited former Juliana Hatfield bassist Mikey Welsh to take the place of Sharp and began working on new material. Before they could enter the recording studio to record their third release, Weezer tested the waters by landing a spot on the 2000 edition of the Warped Tour, where they were consistently the day's highlight. Hooking up again with the producer of their 1994 debut, Ric Ocasek, Weezer recorded what would be known as "the Green Album" (a title given by fans since it was their second to be self-titled). 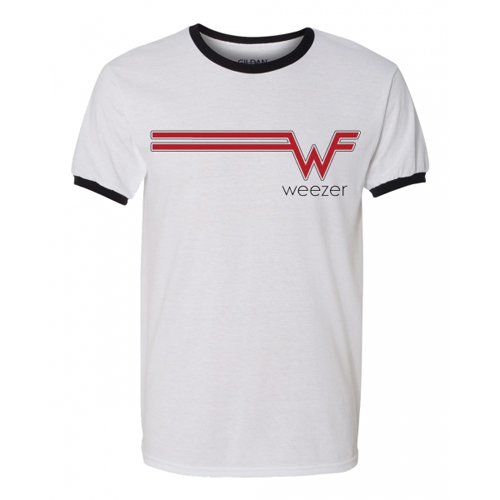 Issued in May of 2001, the album was an immediate hit, debuting at number four on Billboard and camping out in the upper reaches of the charts for much of the spring/summer, during which such songs/videos as "Hash Pipe" and "Island in the Sun" became radio and MTV staples, reestablishing Weezer as one of alt-rock's top dogs. During their tour that summer, Welsh fell ill and was replaced by Scott Shriner, also of the band Broken. That fall and winter the group busied themselves with touring with bands like Tenacious D and recording their next album Maladroit, which arrived a year after "the Green Album." Just before Maladroit's release, former bassist Matt Sharp sued Weezer, seeking compensation and songwriting credit for songs such as "Undone (The Sweater Song)," "El Scorcho" and "The Good Life." The band eventually reconciled with Sharp, though he didn't rejoin, and Weezer continued on with the lineup of Cuomo, Bell, Wilson, and Shriner. The limited edition live EP Lion and the Witch appeared in May 2002, and Maladroit's "Keep Fishin'" was released as a single. Most of 2003 was spent on side projects. Cuomo did some hired-gun songwriting, Bell's band the Space Twins put out End of Imagining, and Wilson's Special Goodness project issued Land, Air, Sea. In 2004 Weezer returned to the studio, working with Rick Rubin on their fifth full-length album. Make Believe appeared in May 2005, prepped by the single "Beverly Hills."